Hello! 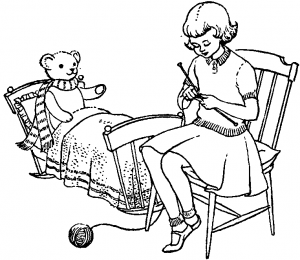 I love knitting – it’s my passion. I bet you do too! So I created this site to share some great designs with you. And if you are a beginning or intermediate knitter you might need a place to come to lesarn the techniques related to those designs. Even if you don’t have other knitters nearby, you’ll be able to take your knitting to a new level. My patterns are different. I’ve added a lot of extra material to help you complete a design: lots of extra instructions making the patterns easy to read. I’ve embedded links to videos and other material within the patterns to explain each step or technique. I like to knit with smooth yarns that are easy to work with and widely available. Colour is important, but I like to balance colour with texture. I love to take a pattern, play with the colour or change all the little details to make it my own. I think you like to do this too, so each pattern features a variations on a theme section to provide ideas on how each pattern can be changed to make your own special version. I’m not fond of lace (she says with a grin). That I will be learning with you. You won’t find many socks either. Gosh, you have to make two things exactly the same! The site will place a strong emphasis on classic knitting and some of the patterns will reflect historical design. I’m a Canadian knitter. Along the way I have led workshops and published patterns. In my other life I am an IT and user support specialist. Girls who code rock!